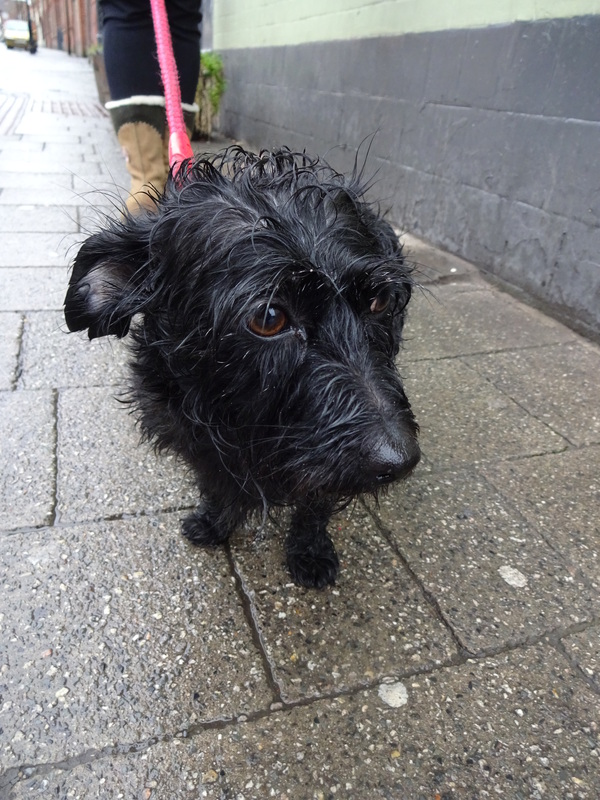 I had a great start to the day, I found Dylan my dog of the day as soon as I got out of the car in Salford. They were walking just ahead in the opposite direction to my work but I had enough time to go say hello! Although Dylan is traditionally a boys name today’s Dylan is a lovely girl! Her human mum and dad aren’t sure why she’s called Dylan as she’s a rescue dog and Dylan was the name she already had! It was rainy this morning so Dylan is a bit wet, she looks very cute though! Favourite pastime: Eating, lying on the sofa and chasing squirrels! That dog looks like he just stepped out of the shower and is running a few minutes late.